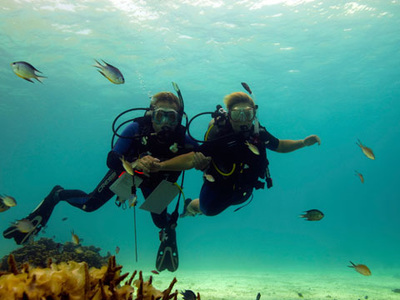 With over 40 different dive sites, we have amazing dives for all diver skill levels. From shallow, beautiful reefs that are full of fish to deep drift dives where the life gets enormous and the popular, C-56 shipwreck where we often see spotted eagle rays, sting rays in the sand and schools of bait fish. We have organized our tours based on how many tanks you want to do. 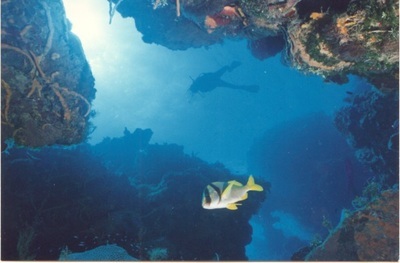 Our most popular tours are two tank dives. We offer two tank tours in the morning and again in the afternoon. 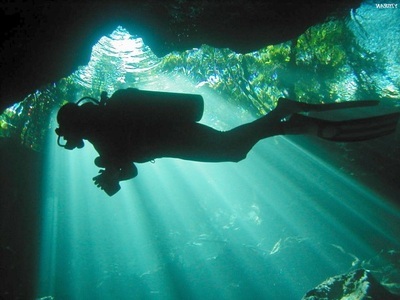 Generally, morning dives are set for deeper sites than the afternoon dives. One tank dives will be scheduled based on the type of dive and what other tours are already booked. Three and four tank dives are also available. 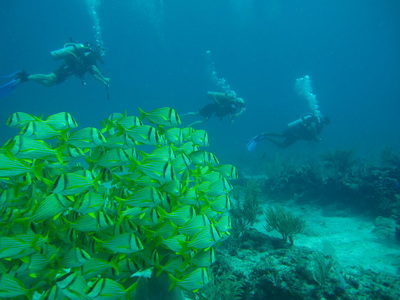 If you plan on diving more than one day, check out our multi day packages. These tours are offered for certified divers, proof of certification is required. Full equipment rental is included in all of our dive services. For divers who have not been in the water for more than two years, we highly recommend the refresher class. Reservation dates are set through email communication. This way we are able to provide the best service while working around dive schedules and weather conditions.